Shane Best is one of the founding coaches for Carmel FC in 2008. He came over from Westfield Travel the year before Carmel Dads’ Club Rec+ became Carmel FC. 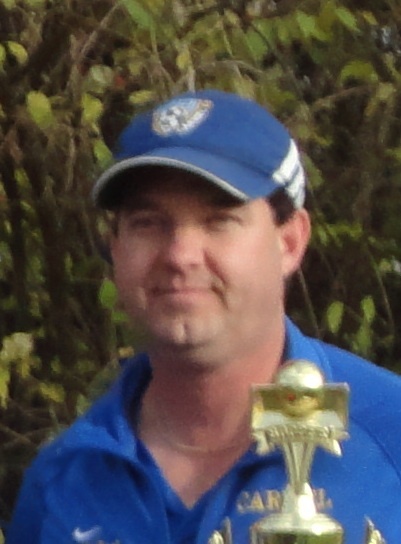 Shane coached rec soccer in St. Pete, Florida, Westfield and at Carmel Dads’ Club before guiding Girls Travel U11 – U16 and Boys U12 – U18 teams at Westfield, Carmel FC and Dynamo. Discovering the game in the 7th grade, he played in high school in Gainesville, Florida as a left midfielder, Sweeper and back-up Goalie and at The University of Florida as a defender and back-up keeper. A huge Florida Gator fan, he’s usually the loud one wearing Gator clothes while he helps coach up the Goalkeepers. He also Refs Rec soccer on Sat/Sun at Carmel Dad’s club and the occasional out-of-town high school/middle school private school circuit during the week. I truly love Soccer – the US National Team – Men and Women, EPL, La Liga, Europe, Champions League, MLS and now the Indy 11. I pay way too much for cable because I have to have all the soccer channels so I can watch all the leagues and Champions League of course. Soccer (the Beautiful game) is my passion and I consider it my mission to help grow the sport at the grass roots level – That’s why I write a weekly column for http://www.cdccarmelfc.com called the Ole Ballcoach. Here you can catch all you need to know about world and local soccer along with game times and channels for all the big games you should be watching each week. Proud Member of the Brick Yard Battalion – http://brickyardbattalion.com/ , Sam’s Army – http://sams-army.com and the American Outlaws. Coach Shane Best’s Final Travel Squad Carmel FC U 18/19 Boys. Ok so maybe the boys team above was NOT my last U11-U19 team – as I am happy to be back coaching the 2002/03 Boys at Carmel FC.